Your roof stands between you and a lot—the weather, wildlife, birds, tree debris, burglars, and more. It protects you from all of these and, in many ways, is one of the most important structural elements of your home. Understanding its different parts and components will help you identify issues and solve them before they lead to greater damage to your roof or interiors. 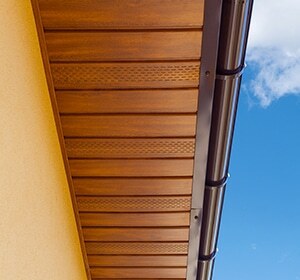 Read on to learn more about two important parts of your roof: fascia and soffit. If you notice issues with either, or other areas of your roof, hire a professional roofing company in Toronto to properly repair them. Soffit: The soffit is the exposed section of the roof that is beneath the overhanging roof eave or architectural structures like archways. Its name comes from the Latin word meaning “to fix underneath” and French word for “formed as ceiling.” The soffit helps to keep the attic ventilated. They are usually plain with holes to provide air circulation, drawing moisture and heat away from the house. Many are composed of vinyl, which is durable against exposure to moisture and heat. 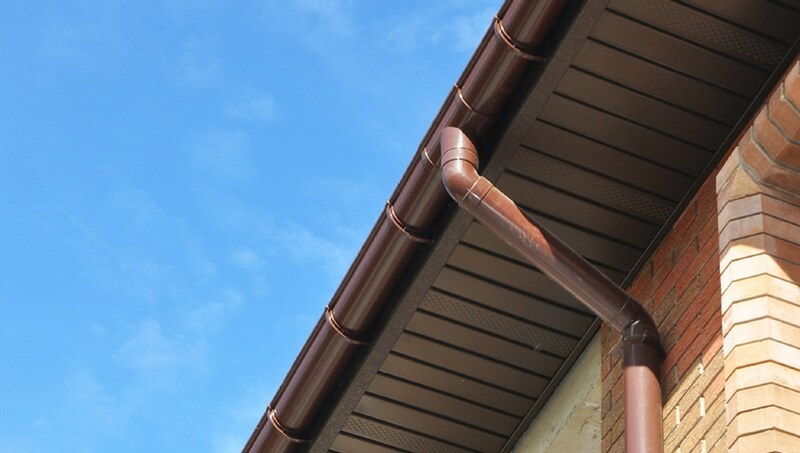 It is a cost-effective and efficient choice for your soffits, so if you are given the option, choose vinyl. Fascia: The fascia or fascia board is the vertical finishing edge between the roof edge and the gutter. It can be found in areas where the gutter connects to the roof, particularly near rafters and trusses. Its function is to prevent water damage, but it also provides a more aesthetic and smooth looking roof. If you have a broken soffit or fascia board, your home will not be protected from external weather conditions and will become more susceptible to damage caused by mold, leaks, and moisture problems. Unfortunately, other than looking for water dripping out of your soffit vents, there are few obvious and external signs of damage. Hiring a professional roofer for regular maintenance and inspections is the best way to prevent, diagnose and repair damage. The important role that your soffit and fascia play in protecting your home make it critical that you hire experienced, reliable and professional roofers. Don’t try to DIY or cut corners with these important protective elements. Spare yourself from roof leaks and water damage and get the job done right the first time by hiring an established roofing company in Toronto. Integrity Roofers has years of experience and a strong reputation for providing fast, friendly and thorough repairs. We offer professional repair services for homes and businesses in Toronto and surrounding areas. We provide soffit repairs and replace damaged fascia boards, maintaining their aesthetic appearance and keeping your roof functional and beautiful. When it comes to repairing your fascia and soffits, a trusted company like Integrity Roofers can help you avoid any costly mistakes. Call us at 416-736-7373.